Now that you know exactly what a landing page is, do you know how to make yours convert? Let’s start with “what not to do”: 1. Too Many Options - Landing pages exist for one reason – to capture the details of your lead, so get rid of all the extraneous links that would take your visitor off the page. What exactly is a ‘Landing Page’? We’re told we need landing pages but, as it turns out, lots of people aren’t sure exactly what they are, or why we use them. Firstly, a landing page is a page online and could be a page on your website, but not every website page is a landing page. For example, the home page of your site is NOT a landing page (yes, even though people ‘land’ there). The contact page of your site is also NOT a landing page. 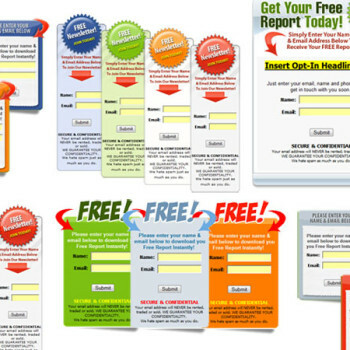 These pages serve several, different purposes and a landing page is more specific. Why are opens a bad way to track your email newsletter response? What should I put in my website footer?